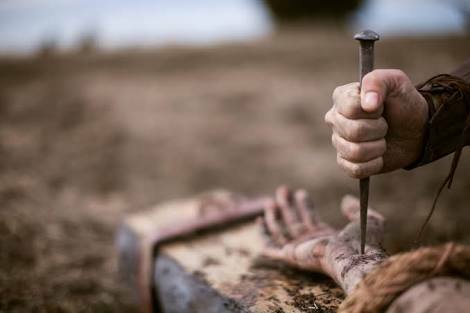 Seven Filipino Roman Catholic devotees, including a woman, have been nailed to wooden crosses as a mark of honour for Jesus Christ. The News Agency of Nigeria, NAN, reports that the demonstration was watched by thousands of spectators but frowned upon by church leaders. The spectacle reflects a unique brand of Catholicism that merges church traditions with folk superstitions. Many of the mostly impoverished penitents undergo the ritual to atone for sins, pray for the sick or for a better life, or give thanks for what they believe were God-given miracles. The Lenten rituals are frowned upon by church leaders in the Philippines, Asia’s largest Roman Catholic nation, especially if the events are used to boost tourism and business. The reenactments of the crucifixion, however, have persisted and become a tourist attraction in the largely unknown villages in Pampanga province, about 80 kilometers (50 miles) north of the capital. A leading cellphone company provided tents for shade with its name embossed on them. Archbishop Socrates Villegas said it’s best for Catholics to mark Lent with prayers and acts of love and charity. “Instead of spilling your blood on the streets, why not walk into a Red Cross office and donate blood? Choose to share life. Share your blood,” Villegas said in remarks posted on a Catholic church website.